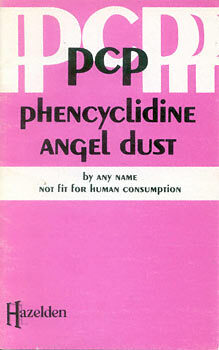 "Phencyclidine" provides the reader with a definitiev analysis of the unpredictable drug more commonly referred to as PC or "Angel Dust". Dr. Hafen, a specialist in the field of drug education for 16 years, carefully delineates the drug's history, pharmacology an effects. The author also clearly profiles the many categories of users and provides guidelines in the treatment for toxicity. This particular booklet, outlining the dangers of a drug frequently abused, belongs on the shelf of everyone concerned about the widespread use of drugs in this society. Dr. Hafen has been professionally involved for 16 years in the drug and alcohol education field at the local, state and national levels. He has authored and edited 5 texts on drug and alcohol problems. Since 1969, he has been a Professor of Health Sciences at Brigham Young University where he lives with his wife and six children. Kathryn J. Frandsen is a skilled writer and editor.